My love for coffee began in my high school years. Before I began caring about what I put in my body. I tried Dunkin Donuts Pumpkin Spice flavored Iced Coffee and I was hooked. The high made me want to get organized, study more, etc. My abilities were almost limitless. Ever since then, I had one cup a day, everyday. It was last year that I began noticing the crashes. I was so hooked on coffee, when my body didn’t feel the effects, it was craving more. My headaches were awful come 2:00 PM. This was when I first thought about giving it up. I come from an alcoholic family, so being “addicted” to anything freaks me out. In early September, I got diagnosed with GERD. GERD is a digestive disease in which the stomach irritates the food pipe lining. It’s basically severe acid reflux and its awful. At my worst, I couldn’t eat anything for up to three days. I knew that I had to make changes to my diet so this really forced me to make coffee a thing of the past. I was ready to not only feel better, but avoid the crashing headaches, and not be reliant on anything. I won’t lie, giving up coffee is really, really hard. The withdrawals are very intense. Not only do you feel lethargic from missing that boost of energy, there are other intense physiological symptoms. First, is the intense headaches. These were similar to the ones I felt when I crashed everyday. and they’re painful. In the first two weeks of giving it up, I got this headache first thing in the morning and it lasted about half of my day. I also felt intense feelings of anxiety and a difficulty concentrating. I depended on coffee for all of my tasks involving concentration - work, school, this blog and Instagram. It was hard to be productive without coffee at first, but it subsided. Another symptom of withdrawals is major irritability. We don’t need to be scientists to know that coffee stimulates the release of dopamine in our brains and makes us feel happier. When you give up coffee, that irritability you usually have before your first sip of coffee stays pretty much throughout the day. It’s pretty terrible, but this too shall pass. The way that I quit coffee was straight-up cold turkey. I was really suffering from GERD so coffee wasn’t even an option for me. Since I couldn’t drink it for a few days to begin with, I just held off even when I began to feel better to get through the withdrawals stage. However, some people claim that the best way to quit coffee is to decrease your amount slowly so you don’t experience such intense withdrawals. I think this would just be your preference, but the sooner you quit, the sooner you’ll be over the withdrawal stage. For me, it was best to just get it over with. I will say that all together, the withdrawal stage lasted be about 2 weeks and while there were some serious downsides, I felt more proud of myself everyday for functioning without the stimulant. That really kept me going. There are real positive benefits of giving up coffee and I started to really feel them after the withdrawals subsided. I started to feel more regular than I did while drinking coffee, I slept better, my teeth and skin improved, I felt a lot less anxious, and my headaches disappeared. I also just love not depending on a substance as strong as coffee for productivity and an increased mood. After about a month, I introduced matcha into my routine. Not daily, but still pretty regularly. Even though it has caffeine in it, it works and feels differently. 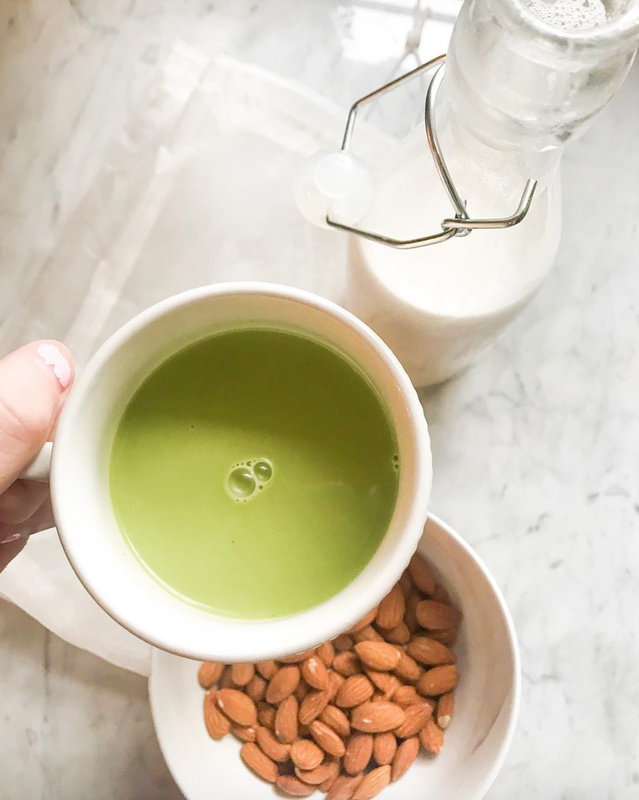 Unlike coffee, matcha provides an all day, sustained energy boost with no sudden crash. This is due to an amino acid present in matcha that helps our bodies break the caffeine down differently than it does with coffee. Matcha is also a true superfood. It has a much higher level of antioxidants than coffee, meaning it is a stronger protector against aging and diseases. Matcha also boosts your metabolism, helping you go regularly, not just helping you go period. ya know? Matcha also doesn’t aggravate my stomach, which is great for me. It’s also really important to me that I don’t feel anxious. Coffee always made my mind race and being someone who is already anxious to begin with, cutting out coffee was a major help to my mental health. If you’re someone who struggles with anxiety or OCD, I strongly suggest making the switch from coffee to matcha. This sole benefit alone will make it all worth it. In summary, I do want to mention that I am not saying there is anything wrong with being a coffee drinker! I was for years and coffee truly has its own benefits. However, it wasn’t working for me at this current time and matcha really is! I simply wanted to share my experience, so those who are also trying to make the switch have some insight on what it will feel like!